is located in Madrid, Spain and was completed in 1996. This building was designed by Philip Johnson and John Burgee and each tower stands 377 feet tall with 26 floors. 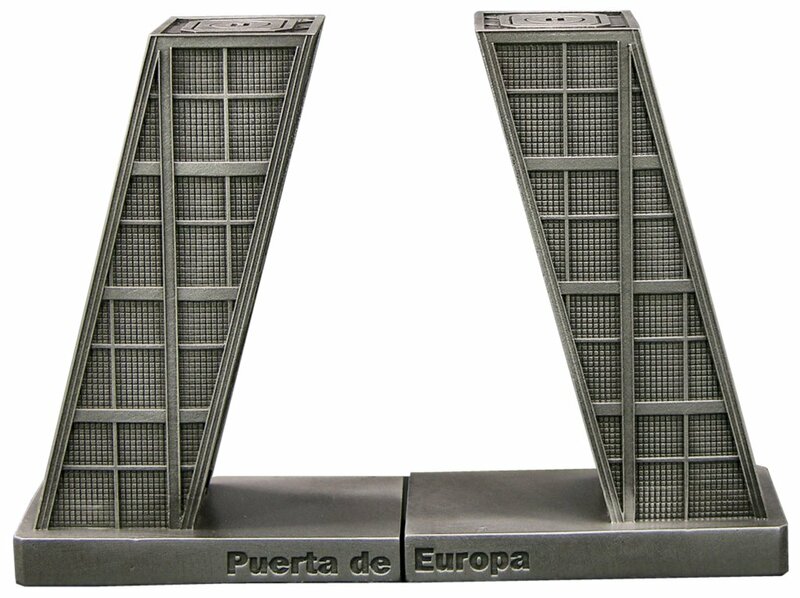 Puerta de Europa means the Gate of Europe. This pewter replica stands 4-1/8 inches tall and is finished in antique pewter. This model’s scale is 1 inch = 100 feet.